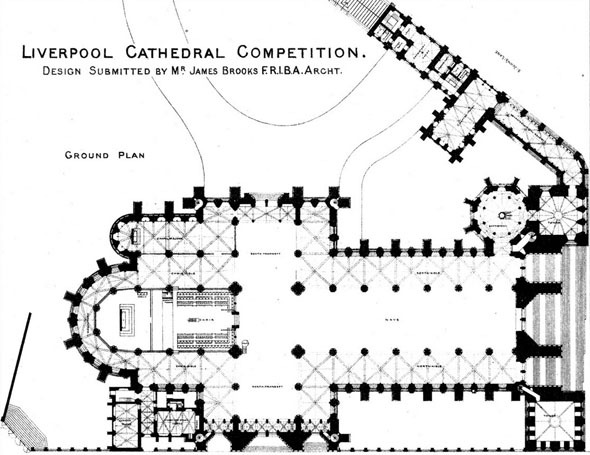 James Brooks’ design for Liverpool Cathedral, which was submitted in competition with William Emerson’s & Bodley & Garner’and which placed second. 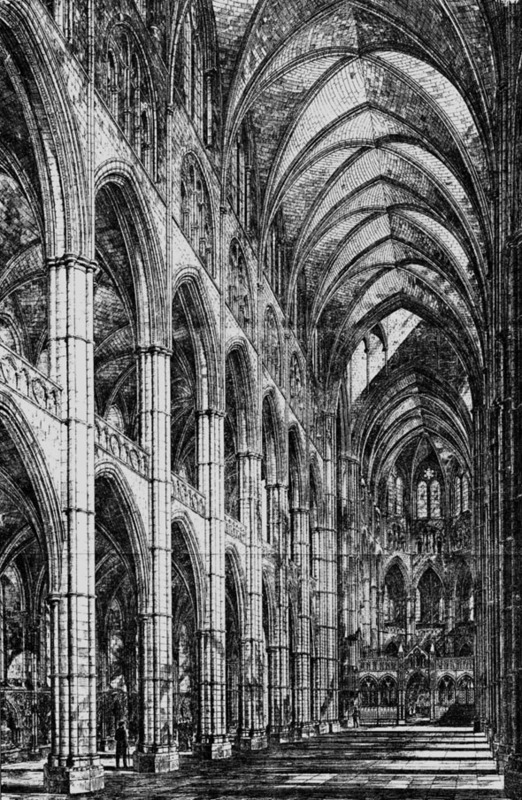 The site for this competition was adjacent to George’s Hall. Another competition was later held.